Everyone has known of a colleague who has left interior design because they were burned out. The one thing they loved more than anything suddenly became the one thing they hated the most. Our profession is probably one of the most stressful. We are always under some sort of pressure either by our clients or ourselves to create something that is unlike anything else done before. The pressure to be perfectly fabulous every time we start a project is overwhelming. But doing it day after day — even when we love it and crave that adrenaline rush — has unforeseen consequences to our overall health, most importantly to our mental health. We all have demanding clients who want our undivided attention. As much as we try to give them realistic timelines, they still think we are miracle workers. This is so true especially during this time of year. As the holidays get closer, designers are more at risk to become overwhelmed and burned out. One bad situation with a client can lead to more and before you know it you are at risk. Designers who are constantly in this state are more likely not to recover their health even after leaving the profession. They are more prone to depression and the use of drugs or alcohol to combat this feeling of helplessness. The media has been bringing more attention to the issue of mental health and its effects on all of us. The topic that just 20 years ago wasn't even talked about is now at the top of everyone's mind. This is why our profession needs to make it a priority. Many of us who have been practicing interior design and architecture for a while understand this is a feast-or-famine business. We are either stressing about how much work we have or the lack of work available to keep our business running. We often just take the stress as it comes as part of the territory, just like other professionals. We all want to limit the stress we are currently experiencing, especially when we start to see it affecting our personal lives, but are we actively doing something about it or are we just paying it lip service? The work-life balance idea is great, but for most of us it isn't realistic. Our creative lives are not separate from other parts of ourselves. So how do we limit the amount of stress if we can't "turn off" our creativity? One way is to do something that is creative but not related to a project, client or even interior design. Expressing creativity through art, music or cooking has helped many designers limit the amount of stress they feel from the job. Planning time away during a project is also a way to "see" a solution or make better stress-free decisions. We know exercise and meditation are also good ways to relieve the stress of our day. Incorporating this into our daily routine is usually the hardest part of this scenario, but making it a priority even in small ways is the first step to overcoming this feeling of being overwhelmed and burned out. 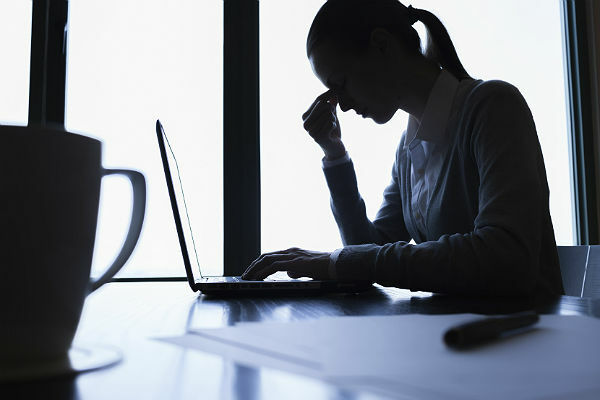 Since the topic of work-related stress and mental health has been brought to the forefront, early awareness and prevention have been the key to successfully combating the problems of job-related stress. Because of this, we can't forget to educate our students and young designers early on about the pressures of our profession. This can be a difficult job for anyone who isn't mentally prepared. We need to actively teach junior design staff how to find ways to relieve work-related stress before it becomes an issue. If we are principals of design studios, regardless of the size of our staff, we need to make sure we incorporate a culture that encourages wellness and good mental health. If we are serious about limiting the number of individuals who leave the profession every year due to stress-caused health issues, we need to be proactive by encouraging our colleagues to seek help and support them as they work toward a more healthy routine. The design business is tough and not for the faint of heart, and even machines wear out eventually if pushed too hard. We are not machines, and no matter what anyone says, those of us who work in design know that this is a people profession, a human profession. Let's make sure we are taking care of the most valuable part of it: the wonderfully creative human designer — you. Here is to a stress-less end of year!